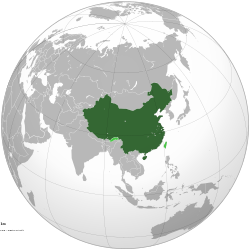 Wikimedia User Group China, or Wikimedia China, (中国维基媒体用户组) is a Wikimedia user group for promoting Wikimedia Movement in China. We are focusing on growing slowly but steadily as an organization. The two primary objectives are keeping hosting campaigns and personal growth of members which benefits us in return. In 2009, Chinese Wikipedia attempted to set up a local chapter and sent a letter to Chinese Authority through Jimmy Wales. However, we failed to move any further by negative response. Since then many offline activities were still held by Chinese Wikipedian volunteers in more than 7 cities. During the past few years, small communities were started and strengthened, but there was still no effective method to connect or help each other. In 2013 Wikimania, 20 Chinese Wikipedians, including members of Taiwan Chapter, decided to put the user group on the agenda. Introducing Wikipedia to more Chinese people. Helping the growth and development of other Chinese/China-based Wikimedia projects. This page was last edited on 5 September 2018, at 20:46.